Despite the polarizing reviews I read about this book on Goodreads, I knew I had to read it anyway, mostly because my darling Reese will be staring in the movie version coming out in December. I actually really enjoyed it and often found myself wondering if I'd be able to do some of the stuff Cheryl did. 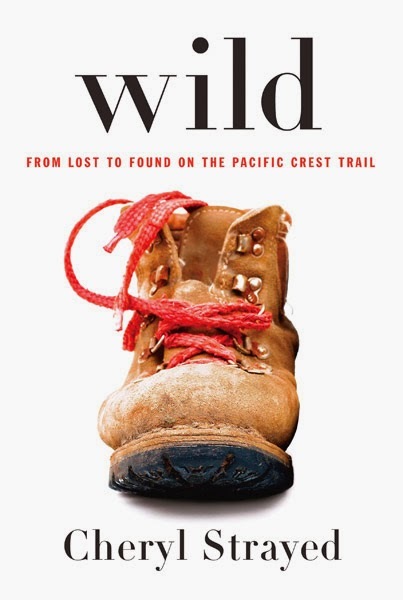 The book follows Cheryl as she spends several months hiking the Pacific Crest Trail. First of all, that's pretty amazing especially because she did it alone. Secondly, I found it to be a really interesting story highlighting the amazing things our bodies are able to do. I was frustrated that so many reviewers spent so much time critizing the character of the author...who let's remember now, is writing a memoir so this is actually her life! I get not going along with a novel which is a made up story but to discredit someone's actual life experiences seems pretty out of line. Either way, I really enjoyed this book and can't wait to see the movie with Reese. I think she'll do a great job (she can do no wrong) and it will be neat to see the story come to life. Go get it! I read this book last summer and enjoyed it! The outdoorsy aspect was appealing to me, and I really liked Cheryl Strayed and her voice!